In 1991 Galaxie 500 split. I was heartbroken, and a little baffled. I had no idea of the ins and outs - I only became aware of the true sadness of the split many years later - but the brief Melody Maker news item was sad enough and hinted that things were not amicable. A month or so later Damon & Naomi released the Pierre Etoile 12” and some time after that Dean's Anesthesia 12” arrived - and both started to put my mind at ease. While Galaxie 500 were no more - all three still had something special to offer. 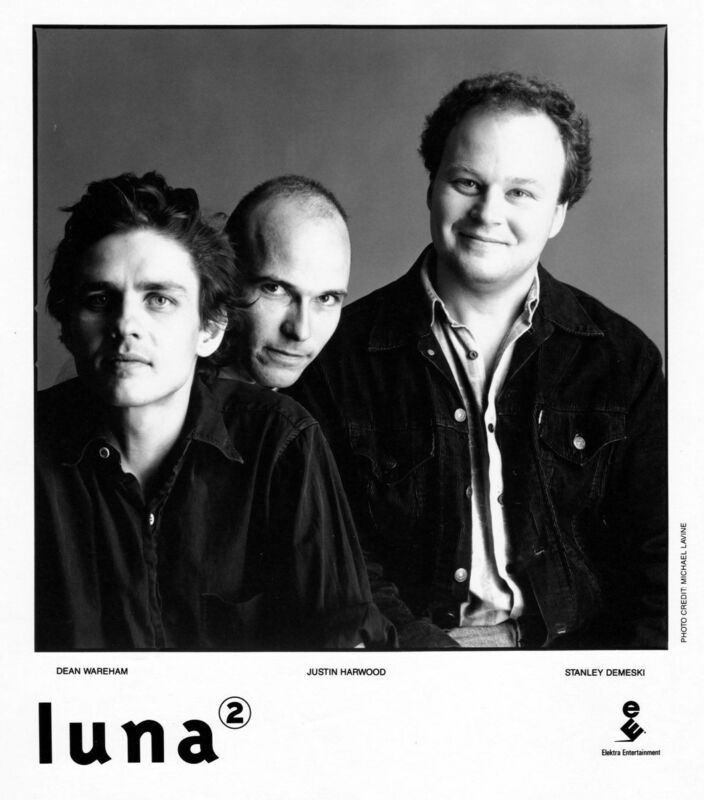 On 27 February 1992 Luna played in London at the Underworld (a room in the basement of the World's End pub in Camden). Ken and Graham and myself went along. Arriving with a little trepidation, unsure of what Dean had to offer, and unsure if folk would turn out to see. One of the support bands doled out free 7” singles - not their own, but some they'd obviously picked up in bulk in a second-hand shop somewhere. One of the support bands (Winterset) had, I think, Gina Morris, journalist and one-time Stereolab member, guest on a track. I had recently acquired a Sony Walkman Pro and this was the first show I taped with it - set-up all wrong, the recording was awful - except for the encore after I fiddled with the settings. Luna played Beat Happening's Indian Summer - I was unaware that Dean had a little history with the song so it came as a pleasant surprise! I left reassured that things looked like they were going to be just fine. 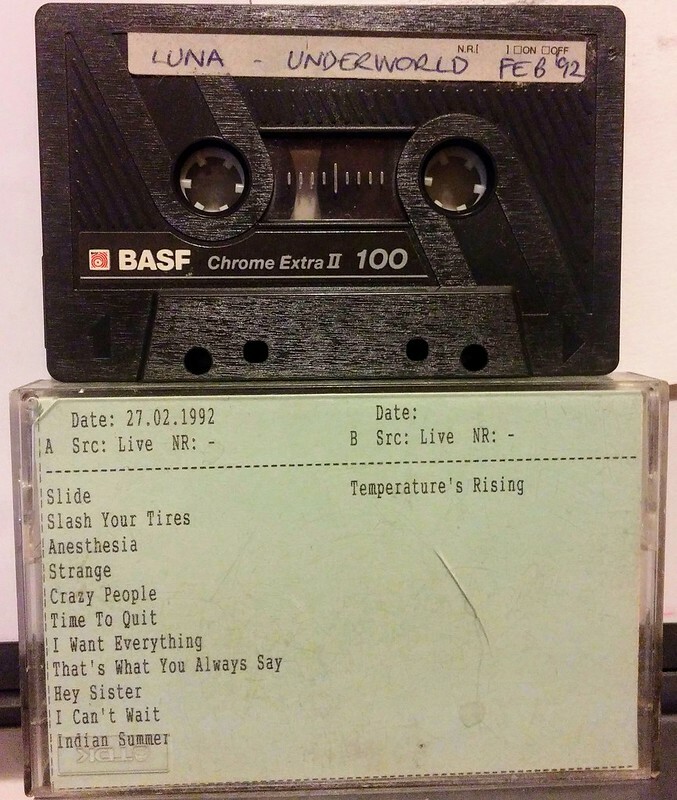 I had my recording of the show, but rarely listened to it - it was sadly hard on the ears - I put Temperature's Rising (from the encore) online but apart from that it was left to my surprisingly full memory to keep the magic of that evening alive. Luckily, it turns out I wasn't the only person recording the show, and one of the other recordings has recently been shared on DIMEADOZEN and sounds so much better than mine. So today is the 25th anniversary of that show - so why don't you head over to DIME grab it and have a listen to LUNA in their very early days, see how they hit the ground running! Here's my recording of Temperature's Rising while you wait for Joe's superior recording to download!